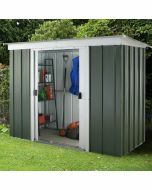 Yardmaster’s 1013AEYZ emerald pent metal shed easily accommodates all types of tools, bicycles and garden equipment. 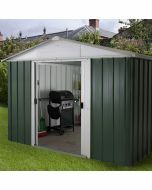 Made from hot dipped galvanised steel, it’s anthracite finish offers a tasteful and compact storage solution. 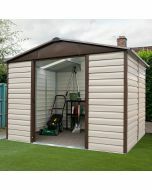 Share your experience about Castleton Metal Shed AEYZ 10x13 with other customers. 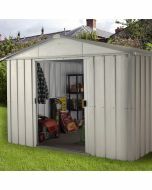 Submit your tips or thought on this product, be detailed and specific. 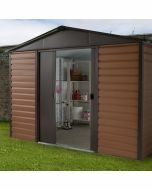 Why a Castleton Metal Shed?